During my time as a law student at Varsity College Durban North, I was an active member of Students for Law and Social Justice (SLSJ). During September 2016, after LARC reached out to SLSJ, I volunteered to assist LARC in monitoring public hearings on the Traditional and Khoi-San Leadership Bill (TKLB) that were to be held in KwaZulu-Natal. During that time I attended a national workshop in Johannesburg with other SLSJ monitors, which equipped us with the necessary skills to be able to monitor the hearings efficiently. We often learnt about the promulgation process in our academic programmes but we, as monitors got to experience the process first hand. I became acquainted with the TKLB and got to understand the different dynamics that come into play when dealing with the legislators and the community that will be affected by such legislation. What was most beneficial to me were the stories that were shared by other affected attendees at the workshop. We came to understand the actual workings of legislation in the lives of other people, and to comprehend the complexities related to the implementation of legislation, especially in rural areas. 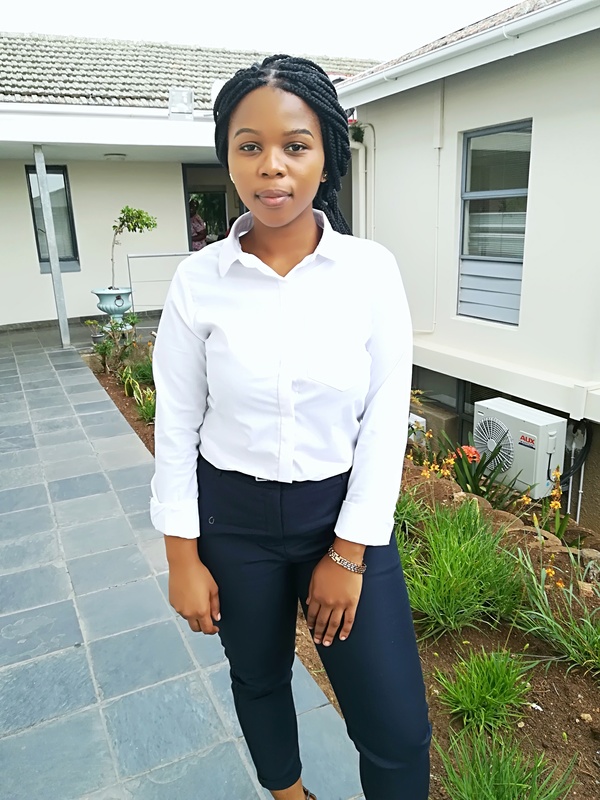 As a law student, I found it very beneficial to experience the workings of the law and it assisted greatly in how I approached a lot of the legal questions I was faced with. The workshop opened my eyes to the redundancy of laws that operate contrary to the interests of the people they are meant to serve. The following year in January, I embarked on a five-day journey that greatly impacted my legal career. Along with veteran land activist Ma Sizani, LARC researcher Thiyane and fellow SLSJ law student Charity, I attended TLKB public hearings in Vryheid, Hluhluwe, Pietermaritzburg and Kokstad. Security of tenure in KwaZulu-Natal is a highly controversial issue, and as such important points were raised by the attendees at all the hearings. This revealed to me the realities of rural life in the province and highlighted the need for radical change. Rural governance in itself exposed its shortfalls that I assumed were meant to be remedied by the proposed bill. At the end of it all, what I took home was that the residents of such areas are not getting the legal relief that they deserve. The governing principles that operate in those areas are not functioning for their benefit. The law should be a tool with which relief is granted, in this case, a tool to provide security of tenure and ensure the effective governance of rural South Africa. I completed my LLB degree in 2017 and am currently serving articles at Hornby Smyly Glavovic Inc. The firm handles a lot of property related matters and provides land legal advisory services. The firm provides services to the Greater Edendale and Vulindlela Development initiative (GEVDI). GEVDI is an area-based mechanism of the joint initiative between the Msunduzi Municipality and the KwaZulu-Natal Department of Human Settlement. The initiative deals with the acquisition of land, development and planning of Edendale Township and complex land legal issues that are prevalent in this region - for instance, land invasions, tenure insecurity and tenure rectification. This line of work falls squarely within my passion for social justice, as it is for the benefit of all people, especially people who fall within previously disadvantaged groups. The success of GEVDI will ensure security of tenure for hundreds of people, and it is truly an honour to know that I would have contributed to that success.